Weather doesn't keep people from taking their shot. 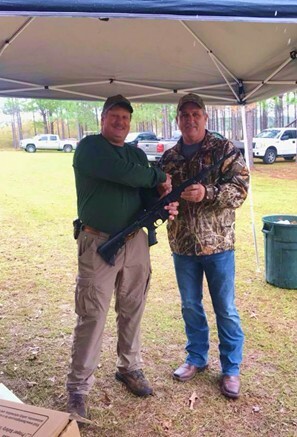 (Photos courtesy BleckleyProgress.com contributor.) 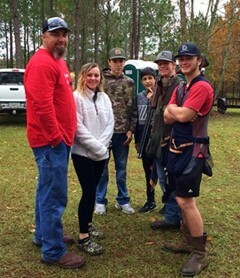 Despite the rainy weather, 34 people participated in the Brian Smith Memorial Clay Shoot held Saturday. 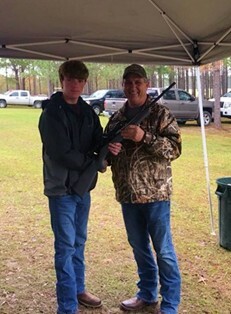 Jeff Holland had the HOA (Highest Overall Average) for adults, Dane Cadwell was HOA for the children's division. Organizers thank Frankk Conner for donating the adult gun and everyone who came out in support. Bleckley Senior Center thanks police for serving community. L-R: Bleckley Senior Center Director Anita Purser, Officer Brandon Bryant, Alice Floyd. 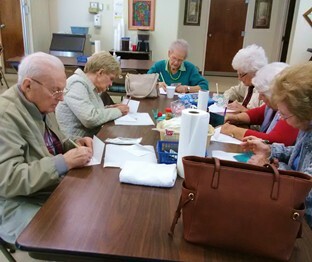 A group of participants write thank you notes. 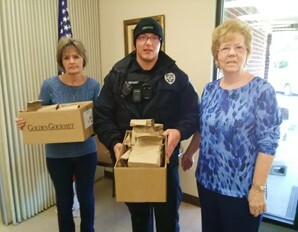 (Photos by Becky Holland: Bleckley Senior Center) The Bleckley Senior Center presented goody bags and cards of thanks to the Cochran Police Department to thank all the officers and administration for what they do for the community. Husband and wife business owners appreciate people who "shopped small." BCHS One Act thanks community for support of show. Bleckley County High School One Act had their final community performance of "All Shook Up" Monday night. The cast and crew thanks the community for their support this year. A special thank you to the businesses and individuals whose donations helped make the shows possible. 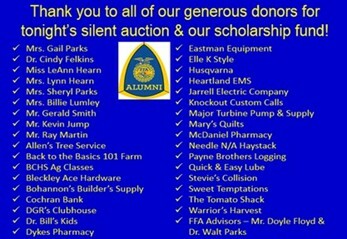 Bleckley FFA Alumni thanks donors to silent auction and scholarship fund.